Energy requirements resulting from end users’ use of water are the most important of the entire urban water cycle, representing 60 to 90% of all energy requirements from hot water heating. End users drive the volume requirements of all other stages through their water demand, which varies from city to city between 70 and 450 L/pers.day. Water requirements for yard irrigation and heat island mitigation (Impacts of Climate Change in terms of rainfall and temperature). Price and availability of onsite/ in-house water reuse, rainwater harvesting, green roof technologies, and heat exchangers on hot wastewater flows. Water loss in end user piping. Public outreach and incentives from water and energy utilities and cities. Ultimately what will drive end users to use water more efficiently and minimize their impact on the whole urban water cycle is awareness and outreach by water and energy utilities and by cities. Water utilities can inform the public on responsible behaviors that impact the sustainability of the city’s urban water management such as the use of water conservation fixtures, rainwater for irrigation and other purposes, water reuse, the installation of green roofs, and also the benefits of drinking tap water rather than bottled water. Energy companies can promote solar hot water heating and low energy technologies for hot water heating. 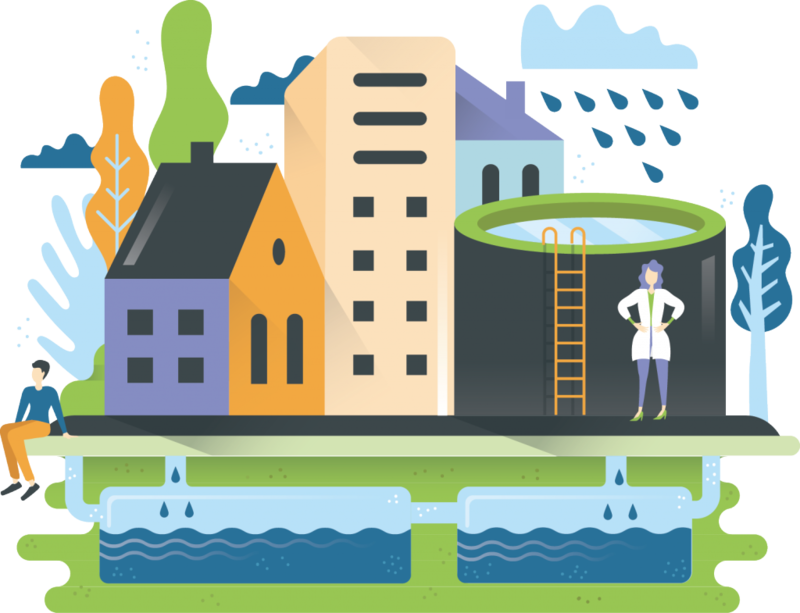 Cities can incentivize the installation of green roofs or infiltration wells that minimize the impacts of rainwater on urban water management, as well as enhance the messages from the water and energy utilities. Temperature of water in sewers has been observed to be reach almost 28°C in summer (Abdel-Aal et al 2014) It represents a mayor pathway of heat loss from modern buildings. By heat exchanges parts of this thermal energy can be recovered and used to assist the local heating and hot water supply. Larger wastewater pipes are favorable so that heat exchange can be built into them. Besides heat exchange also a heat pump and a boiler for water peak temperatures are required. 75% reduction of GHG emissions using this solution (together with a gas boiler for peakt temperatures) compared to heating with electricity. Water from showers and bathing has approximately a temperature of 38-40 °C (van der Hoek 2011). The temperature is highest the closer to the point of discharge, therefore heat exchanger at the discharge of showers make a lot of sense in newly built houses or in case of renovation. Recovered heat can be used to pre-heat water for the local heating and hot water supply. Retroactive installation might not be feasible, mostly interesting for new buildings. Save energy from heating water. Decentralized treatment options like membrane provide more oportunities for decentralized treatment due to their small area footprint. This in return can reduce costs and energy for constructing and operating a distribution system for reclaimed water. Membrane systems may require more energy. The benefits of small area footprint and decentralized treatment on one side, and possible higher investment, operation and maintenance costs have to be considered. House roof can be used to collect rain water. Drainage pipeline feeds a underground tank with a small filter. One tiny pump station provides water to an elevated tank, putting the rain water ready to use as irrigation source or any other secondary utilization. Roof area, local rain index, construction of a dedicated pipeline for rain water system. Save water, reduce the abstraction needs. By making the access and use of recycled water easier together with attractive tariffs for recycled water, the use as well as demand is likely to increase. Greywater is has generally a low degree of pollution and can be treated decentralized at relatively low effort for non-potable re-use. 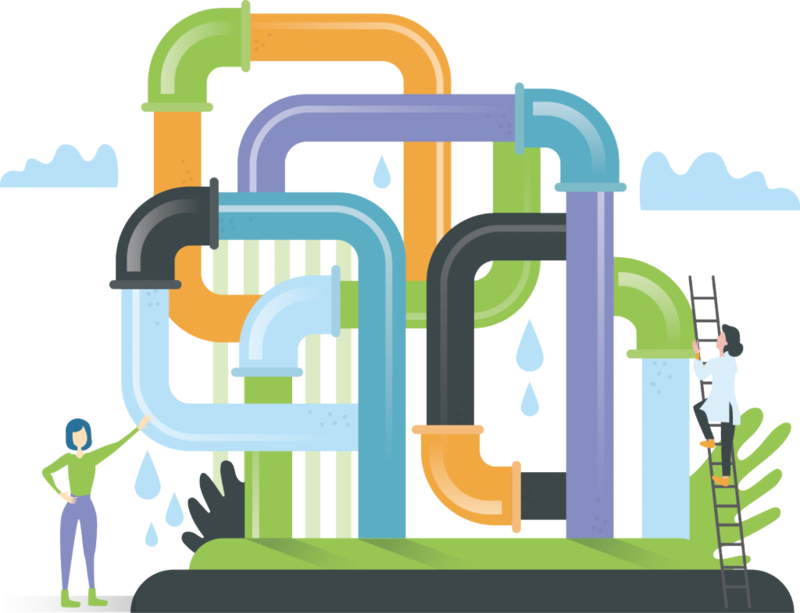 An additional greywater pipe system and a treatment of the greywater is required. Bleed or waste water from cooling towers can sometimes be used for other purposes, such as toilet flushing, garden watering or other industrial processes. In some cases an approval is required for these types of industrial water recycling projects - contact the Environment Protection Authority for further information.